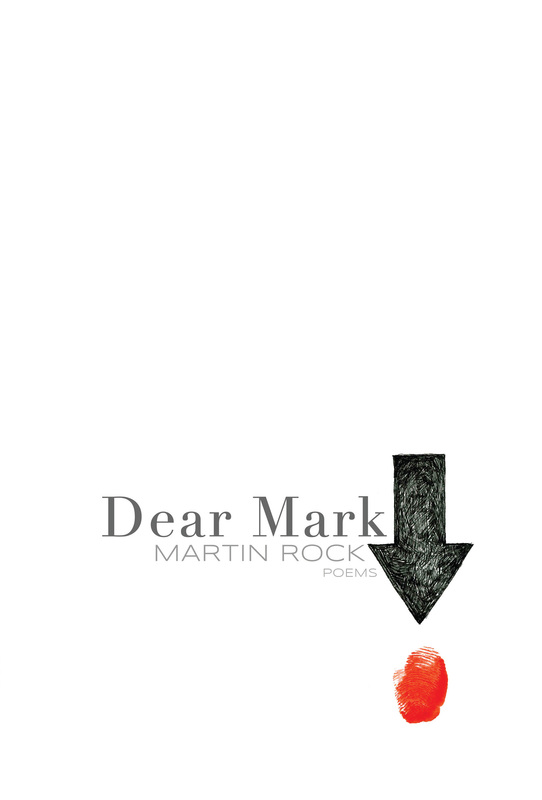 In our culture where composition largely resides between blinking cursors and revision is often an act of deletion, Martin Rock’s impressive debut collection, Residuum, announces itself like a command to “Save.” Language is not just the words that we use but everything that has been reconsidered, replaced, evolved, or ignored to get us here. Sometimes, that language comes via the intense privileges of gender, race, or class. Other times, it can be a more earned catalogue of allusion and emotions. These lyric compositions of image and additive subtraction are earned, and owe as much to Robert Rauschenberg as they do Martin Heidegger. And because of that, Rock’s collection is a visual and allusory opportunity for the reader: the word bank is open, the questions are asked, and the answers are here in poems that are both unexpected and fascinating. Martin Rock's Residuum spins language into twinned helices of what is said and what is taken back, layering micro- and macroscopic images of bodies in love and space and history. It might make you a little dizzy. It might be contagious or reproducing. It might ask you to glimpse at the moments when you try to speak truly and find your words coming out all infected and in debt. It is a love poem as Williams' Asphodel is a love poem. It is spectacular and leaves me with a head encircled by stars. 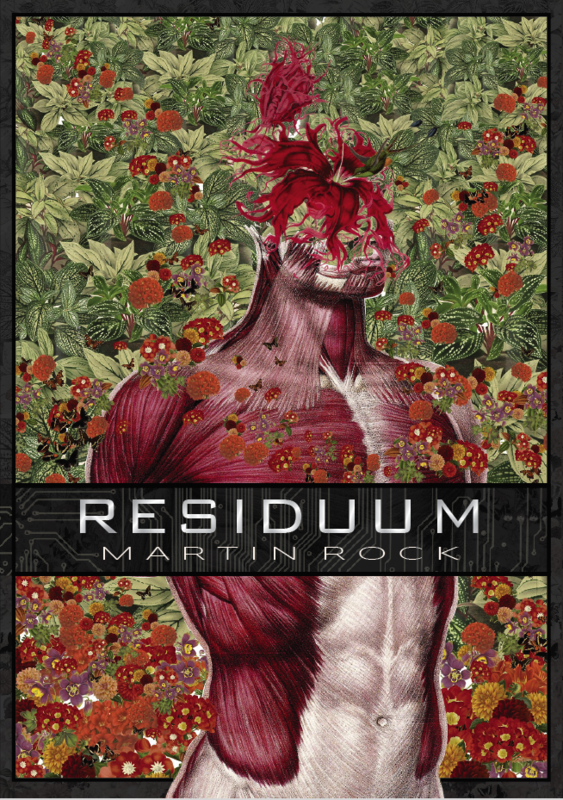 In Residuum, Martin Rock creates the illusion of an enormous mind always in motion. “Meditating on the peak of a mountain last year / years ago // I held all the universe inside my skull,” it informs us, suggesting both the intimacy and vastness of its vision. At times, these poems appear to live beyond the range of any individual, as if Emerson’s Oversoul spoke directly to, and through, us—though just as quickly they become intimate and humane, whispering softly into our ears. Always, Rock’s observations, subtractions, and revisions fascinate, disrupting any clean, centered view of the world, replacing it with brilliant abstraction. Martin Rock’s remarkable debut collection, Residuum, takes on nothing less than making the unsayable (as Heidegger perceives it) “legible.” I find the partial erasure form of this book dynamic, and lyrically fluid. Residuum is also moving, and genuinely funny in many spots. For all its critical engagement and thoughtfulness, it never loses the necessary, bodily pulse. Rock’s is a wonderful new voice to encounter, a poet who takes from several different canons within our poetic tradition and makes something utterly his own from them. "I have admired Catherine Davis’s exquisitely sculpted lyrics for over forty years. But it has been futile to recommend her work to others because it has been nearly impossible for anyone to find the poems, most of which were never published in book form. What a gift to have this lost poet restored to us." 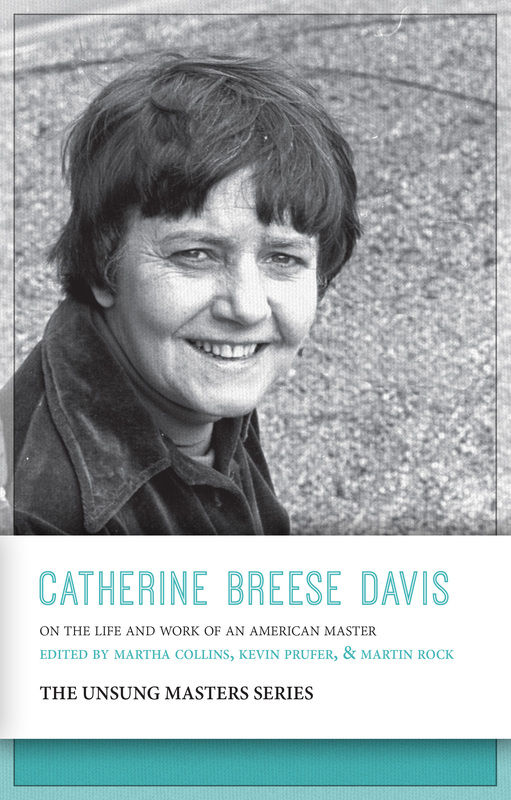 "Catherine Breese Davis fills an important but unsung niche in the tradition of women’s poetry in the U.S.—and now unsung no more. The editors of this book have given us a brilliant selection from Davis’s poems, combined with illuminating writings about her work and life. This volume is a true labor of love, a priceless introduction to a lucid, poignant, and unflinching poet." "Mark Rothko’s paintings have the aura of the sacred, the immanence of a revelation, the promise of a secret that is always just about to be disclosed. Martin Rock responds to Rothko’s hushed eloquence with his own quick-hitting intimations of mortality, spiritual poems that deftly enter Rothko’s visionary space, his intimate, anguished, violent, and fateful dramas." "DEAR MARK is an unabashed open letter to Rothko’s paintings that pushes past what the rest of us have thought of them. Martin Rock inhabits these paintings and the imagination in exciting and lyrical poems all springing from color and abstraction but ending in the strange and beautiful. Rock reminds us that art goes both ways, and it takes a talented viewer to see what’s there." "There’s such calm beauty in Martin Rock’s poems. The delicate pace allows us to look, listen, be present. But he’ll lead you into this blissful state, look you straight in the eyes, and tell you “The butterfly’s body is also a urinal cake / with antennae & legs braided into a rope.” He’s a philosopher and soothsayer with a strange sense of humor. “Life is a kind of rust” in his poems. So he looks to the future life, and the past life. Indeed, the poems here are concerned with life—from the primordial soup, to “on the body of a spider / death’s head.” It’s a stunning collection. One I look to for guidance in existence."